Does delayed cord clamping help babies breathe? The Royal Women’s Hospital has launched Australia’s first study that aims to help newborn babies who do not breathe spontaneously after birth, by delaying the clamping of the umbilical cord. Around 1000 babies born after 32 weeks’ gestation will be recruited to the Baby-Directed Umbilical Cord Cutting (Baby DUCC) study at the Royal Women’s Hospital and Monash Medical Centre. Doctors will randomise these babies with half to remain connected to their mother via the umbilical cord for up to five minutes while they transition to breathing. Lead researchers, Dr Doug Blank and Dr Shiraz Badurdeen, from the Royal Women’s Hospital and Monash University said results in animal studies looked promising enough to investigate whether the technique would be beneficial in human babies, including helping the one in 10 babies who fail to spontaneously breathe. “In animal studies, we saw that if we helped the offspring breathe while still being connected to the umbilical cord, the oxygen levels were better, including more oxygen getting to the brain resulting in less injury,” said Dr Blank. “In a preliminary trial at the Women’s, we helped several babies who failed to breathe spontaneously while they remained attached to their mothers via the umbilical cord during the resuscitation. Throughout resuscitation, their oxygen levels and heart rates remained stable because of the continued support they received from their mother,” Dr Badurdeen said. “We would expect their heart rate and oxygen levels to be lower if their umbilical cord is clamped before the babies are vigorous and breathing well. One of those babies was Darcy Tucker. He remained attached to his mum Lauren via the umbilical cord while paediatricians worked to resuscitate him. Dr Blank monitored Darcy’s heartrate with an ultrasound. The incredible moment was captured on video and shows Darcy taking one minute and 40 seconds to start breathing, while his heartrate remained stable throughout. “The placenta is the baby’s lung until after birth, when baby starts to breathe air. While the baby is in the womb, the placenta provides everything a baby needs including oxygen. It seems logical that babies should remain attached via the umbilical cord for a few minutes after birth until they are breathing well enough on their own to provide their body with the oxygen they need,” Dr Blank said. “Failing to breathe after birth kills more than 800,000 babies worldwide every year. Most of the babies that die are born in poor countries, but most of those babies are born at full term and are otherwise completely healthy. We want to change that. We think that we can improve how we help babies breathe after birth. This technique, if it works, can be used in virtually any setting,” Dr Blank said. The researchers will be using the baby’s vital signs as the deciding factor on when to cut the umbilical cord, rather than a specific duration in time. It is hoped the research will establish the best physiological indicators for clinicians to use to decide when to cut the umbilical cord. Dr Blank said if the theory is correct, it would dramatically change how babies are delivered globally and could help reduce infant deaths in resource-limited countries where the burden is highest. 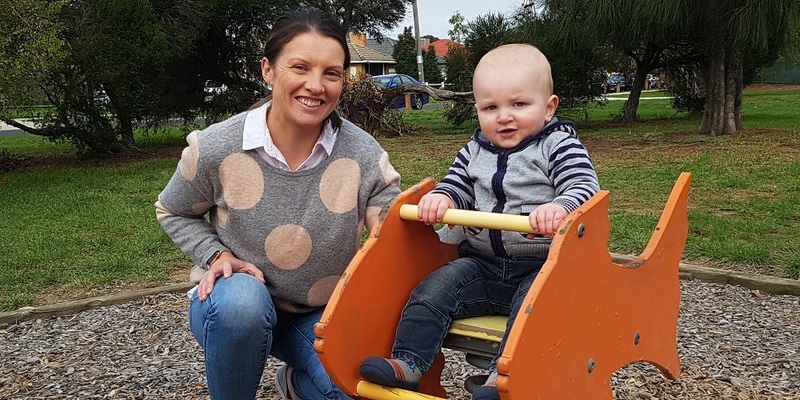 Patients can register their interest in taking part in the Baby DUCC study at their antenatal appointments with the Royal Women's Hospital and Monash Medical Centre. Baby-Directed Umbilical Cord Clamping: A Feasibility Study was published in the journal Resusitation in July 2018. The Women's researchers are leading an international trial that could improve the survival rates of very preterm babies and decrease their risk of developing chronic lung disease. Invited to publish in the Lancet, researchers from the Women’s have reviewed global research around managing breathing difficulties and resuscitation in newborns, highlighting what clinicians do well and what could be improved.